Our Essential Butter Blend™ is a great duo-purpose product for skin and hair. 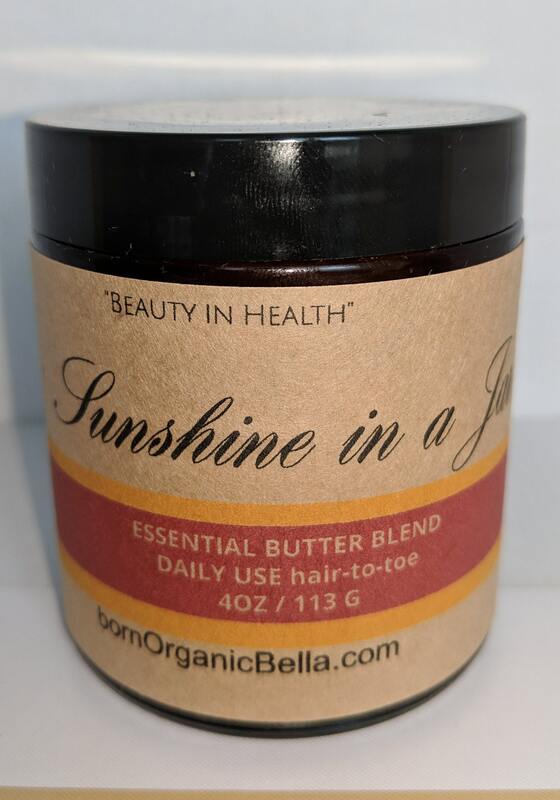 It’s made with free-trade all natural unrefined Shea Butter that is produced from the nut out of the Shea Tree found in parts of West Africa and specifically blended with natural oils for skin yumminess. Each hand selected ingredient was chosen carefully without compromising quality. Skin: Helps improve skin’s elasticity & overall skin condition and especially useful for dry areas such as elbows, knees, and feet. Best used on damp shower-fresh skin. A little goes a long way. Hair: Great for combating fizziness on all hair types. For a staple hair moisturizing regime, add any of your own water/liquid spritzers to create an environment of pure goodness for your tresses. **Please note that all items are shipped via USPS and will reflect current shipping charges via priority mail. If for any reason, the amount you paid in shipping exceeds the actual shipping charge, a refund for the difference will be issued back to you. Thank you and remember that happy hair and skins days start from the inside out.